Comments: The Mount Pleasant Baptist Church Cemetery is located in Keene, Virginia, just northwest of Scottsville. The church inherited the cemetery from the Gardner family when they moved to the adjacent land in 1963. The Gardners had previously used the graveyard as their family cemetery. As of August 2006, the cemetery contained approximately 74 gravestones. Many of the graves at the Mount Pleasant Baptist Church Cemetery are marked by wooden crosses and do not include identification information. At this time, no information is available about the names of the people buried in those graves. Also, approximately 12 of the graves with stone markers are either not photographable or illegible. In August 2017, Scottsville Museum updated our listing of this cemetery which currently contains 101 gravestones. Directions to Mount Pleasant Baptist Church Cemetery from the Scottsville Museum: Head West on Main Street and take a right onto Valley Street. Travel North on State Route 20 about 4.5 miles. Turn left onto Esmont Road, SR712. 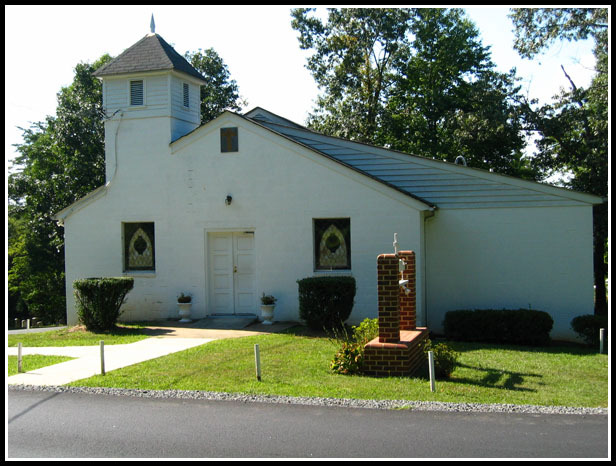 Continue straight about one mile until you arrive at Mount Pleasant Baptist Church, which is on the right side of the road. The cemetery is to the left of the church. Following is the August 2006 listing of the extant gravestones at Mount Pleasant Baptist Church Cemetery as prepared by Gretchen Calcagni, an intern at Scottsville Museum from the Institute for Public History at the University of Virginia. In August 2017, this listing was updated by Connie Geary of Scottsville Museum.. Asterisks (*) that appear before names denote veterans. March 1, 1886-September 14, 1918. The gravestone listing of Mount Pleasant Baptist Church Cemetery was compiled by Gretchen Calcagni in August 2006 as part of Scottsville Museum's ongoing effort to record local church and cemetery records. In August 2017, this cemetery listing was updated by Connie Geary.